The Indian Printing Packaging & Allied Machinery Manufacturers’ Association (IPAMA), which is organizing PrintPack India 2019 exhibition at India Expo Centre, Greater Noida from February 01-06, 2019, had signed agreements with various associations, as Industry Partner, for promoting this international mega event. 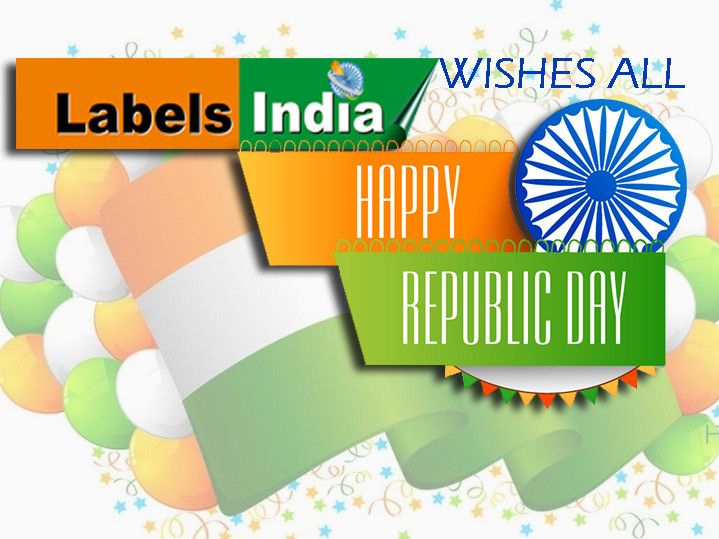 These Associations are Association of Label Printers & Suppliers (ALPS); Indian Paper Corrugated & Packaging Machinery Manufacturers’ Association (ICPMA) and Screen Printers’ Association of India (SPAI). Thus, most of the Associations representing different segments of the Indian Graphic Arts Industry, have agreed for providing their full support to IPAMA. Since the objective of all the Associations are same, betterment of the Industry, some of the associations have already started working to make the forthcoming PrintPack India a grand success. 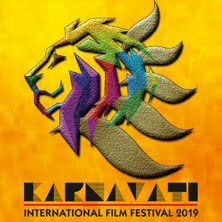 IPAMA, which is completely devoted to its one point programme for promotion of the entire Indian Graphic Arts Industry, has included all the segments of the industry in the exhibitor profile of PPI 2019. This has been done for the first time. Perhaps, there is no exhibition in the world which incorporates all the segments of the industry in its display profile. The previous edition of Printpack achieved a massive footfall of 86,000 visitors. IPAMA plans to increase the number in 2019 and for doing so, the association is undertaking a number of steps. IPAMA is planning to send 50 lakh (5 million) emails, 25 lakh SMS messages and 5 lakh WhatsApp texts to the prospective visitors in various parts of the world. This is the first time that IPAMA is undertaking such a step in order to increase footfalls, and it is also planning to do roadshows. IPAMA recently organized two major promotional meets, one at Mumbai on 19th December, 2017 and the other in Amritsar on 19th January, 2018 relating to PPI 2019. These were represented by top and senior functionaries of different Associations, Government Departments and leading organizations. In 2014, Interplast, based in Sharjah, UAE, was the first member of Harwal Group that purchased a Bobst 20SIX CI flexo press. It was the first Bobst 20SIX press in the UAE and also the first 20SIX press in the GCC which used smartGPS technology in the flexible packaging industry. Recently, Riyadh Plastic Factory Company (RPF), also an associated company of Harwal Group, signed a contract for a Bobst 20SIX CI flexo press to extend their capacities for the production of flexible packaging. Both presses are used for printing films (LDPE, BOPP, CPP, PET), foil, laminates, shrink sleeves, PVC twist wraps, metalized twist wraps and wax paper, wrap around labels, gift wraps, shopping bags and flower wraps. 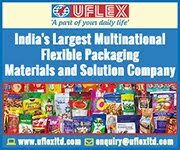 With its products, the company serves a wide range of industries including the packaged foods, juices, dairy, ice creams, dry foods, soft drinks, toffees, cosmetics and toiletries industries. The second press ordered by Riyadh Plastic Factory Company is almost identical to the first one commissioned in 2014. Featuring ten colors, a print width of 1450 mm, printing speed up to 500 m/min and maximum repeat of 1200 mm, it perfectly meets the customer’s demands for a wide range of applications. Among the technical highlights of the presses is the smartGPSTM off-press set-up system that not only reduces the job change overtime and amount of waste during set-up to almost zero, but also serves as a quality control instrument for printing hardware and plate mounting. “Ever since the first Bobst 20SIX was installed, it has performed to our full satisfaction, both in terms of print quality and productivity. When we decided to invest in a new machine to boost our capacities, the decision in favor of Bobst was an easy one,” explains Mr. Mike Koroukian, Executive Director, Packaging Materials Division of Harwal Group. Operating from its headquarter in the UAE, Harwal Group consists of more than 40 business units with manufacturing and sales facilities around the globe and serves a diversified range of industries including building materials, industrial materials, consumer goods, furniture, refrigerators and packaging solutions. With their packaging printing and converting operations, Harwal Group has attained the position of the largest plastics converter in the Middle East converting over 200,000 metric tons of plastic. Bobst is one of the world’s leading suppliers of equipment and services to packaging and label manufacturers in the folding carton, corrugated board and flexible materials industries. Founded in 1890 in Lausanne, Switzerland, Bobst has a presence in more than 50 countries, runs 12 production facilities in 8 countries and employs more than 5 000 people around the world. Fespa, the global federation of national Associations for the speciality print industry, will introduce a new Digital Corrugated Experience at Fespa Global Print Expo 2018 (Messe Berlin, 15-18 May 2018). Fespa's Digital Corrugated Experience is an educational and experiential area, which will showcase the commercial and production advantages of digital print for corrugated packaging and retail display applications, aiming to highlight to packaging converters and box-makers the benefits of integrating digital technology into their production mix. Fespa CEO Neil Felton explains: "Fespa has been a leading force in the transition from analogue to digital print in the signage and graphics market, guiding our community of printers and sign-makers on the integration of digital inkjet technology alongside their analogue production processes as a driver of business transformation. Felton continues: "When it comes to corrugated, many of our exhibitors have expertise in preparing, printing and finishing these materials for signage, display and packaging applications. This specialist knowledge is vital, not only for packaging converters, but also for the Fespa print service provider community, for whom short-run promotional packaging may represent a valuable new revenue opportunity capitalising on their experience of flatbed printing and cutting, and their existing supply chain relationships with brand owners and retailers." Luis Christophe, EMEA Corrugated Segment Marketing Manager at HP, a sponsor of the new feature, comments: "HP is very pleased that Fespa is organising a dedicated Digital Corrugated Experience. We have seen a lot of interest from the corrugated industry in learning more about the economics of digital production, the potential to add value, and the workflow implications of integrating digital technologies into the existing production environment. We are excited to showcase our applications in both pre- and post-print and to offer visitors in-depth discussions with our specialists." 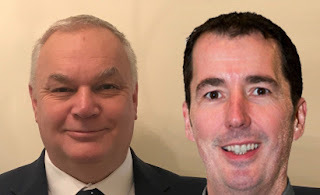 Fespa Head of Events Duncan MacOwan concludes: "Fespa's Digital Corrugated Experience aims to offer an excellent return on time investment for corrugated box-makers, converters and large format print service providers who are interested in entering the short-run packaging market. In the space of a single day at Fespa Global Print Expo in Berlin, they will have the opportunity to deepen their understanding of the latest technological developments in digital printing and converting of corrugated board, and the chance to look at the entire corrugated production process. Through the applications showcase, they'll discover the technology behind a range of finished products, while gaining valuable insights from the expert conference sessions." 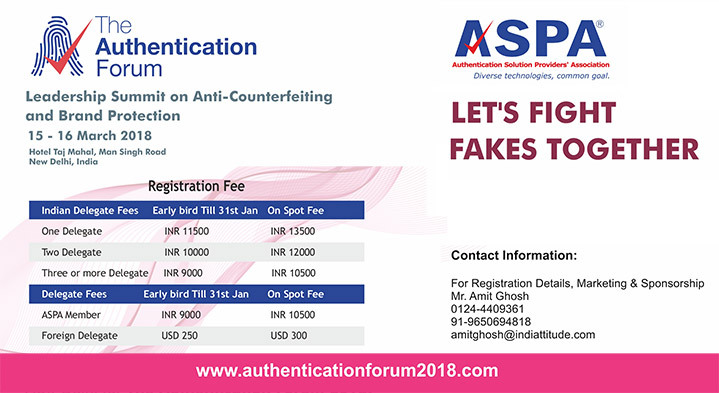 Authentication Solution Providers’ Association (ASPA) is conducting its two-day leadership summit - The Authentication Forum 2018 on Anti-Counterfeiting and Brand Protection on March 15-16, 2018 at Hotel Taj Mahal, Man Singh, New Delhi. • Understand the regulatory perspective – role of Government roles to protect the interests of consumers. • Understand the 5Ws of Counterfeiting: What, Who, When, Where, Why? • Educate yourself on the future of anti-counterfeiting technologies – Can Blockchain and NFC play a part? Not only the discussions, the forum also gives a chance to network and interact with the Best Minds in the industry. So be a part of The Big Debate: An Interactive Townhall Session (Who is going to take the lead against fighting Fakes) and much more! As usual, Labels India is Media Partner to the event alongwith Labels & Labelling and Authentication News. 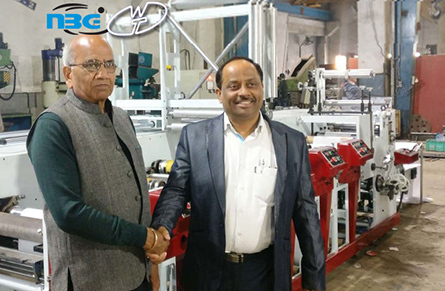 NBG Printographic Machinery Co. (P) Ltd a leading manufacturer of printing and packaging machines in India and Webtech Engineering (P) Ltd, experienced manufacturer of narrow web printing machines have joined hands and entered into a JV to promote flexo label presses under one roof. 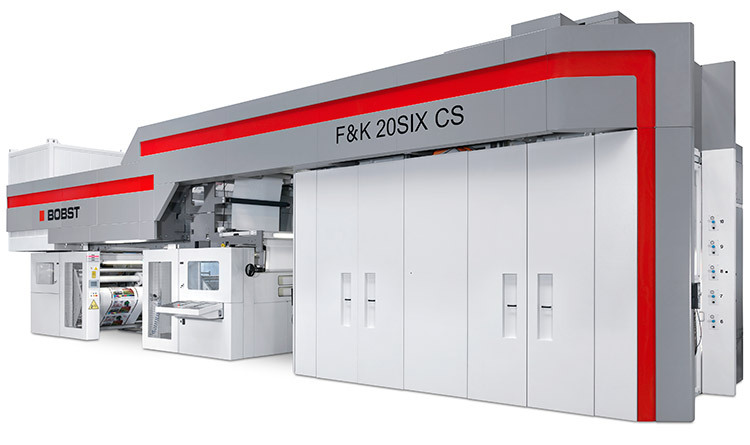 NBG has developed a fully servo flexo label press and Webtech has a range of flexo label presses, now under this JV customers would get a range of label printing and converting solutions under one roof. With combined resources in development, manufacturing and service under one roof, the customers would get better solutions and service. Under the agreement, NBG Printographic Machinery Co. (P) Ltd., would be handling complete marketing and sales activities of the JV and Webtech would be handling the manufacturing of top loading flexo presses and NBG would continue to produce Servo driven presses. 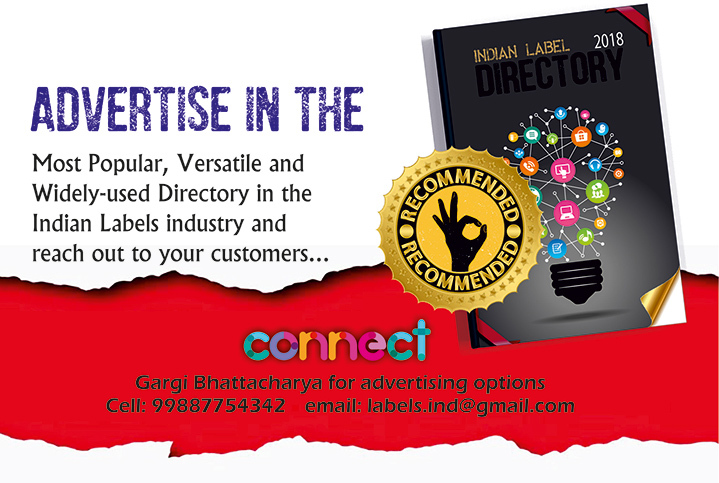 Also both the companies would work together for launching advanced label solutions in future. Mr. Sabhajeet Singh of Webtech adds “Webtech has always strived to achieve 100% satisfaction of its customers, by delivering more than what our customers expect from us. Looking at the upcoming demand for quality flexo presses, this JV would enable the companies to invest into research and development of advanced and International standard machines in India and thus giving “Make in India” concept a boost”. In December 2017, Troika Systems Ltd. ploughed through a landmark moment by reaching 21 years in business. As a company Troika have been through many changes and developments in those years. Starting off as a one man business in the spare room of its founders home, Phil Hall has taken the company from its humble beginnings to become the global leader in providing state of the art quality control 2D & 3D Microscopes for the flexographic and gravure print packaging industry. AniCAM with its QC products measure the surface profile of the anilox rolls, gravure cylinders, sleeves and plates used to deliver the correct volume of ink to the material to be printed helping to save press set-up time, reduce waste and increase profits. This year troika saw its largest ever single order for its flagship product the AniCAM with Anilox QC, what better way to celebrate 21 years in business. 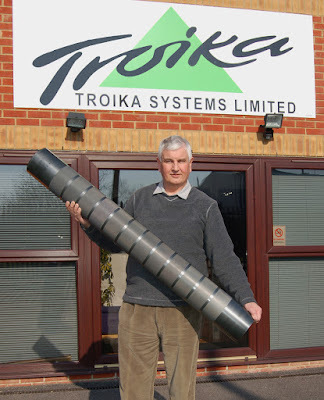 Phil Hall, the Founder, Owner and Managing Director of Troika Systems Ltd. in the UK has been involved in the print industry for almost 40 years starting as support technician for Crossfield Electronics on the early colour separation scanners in the 1980s, then progressed into sales and marketing over the intervening years. 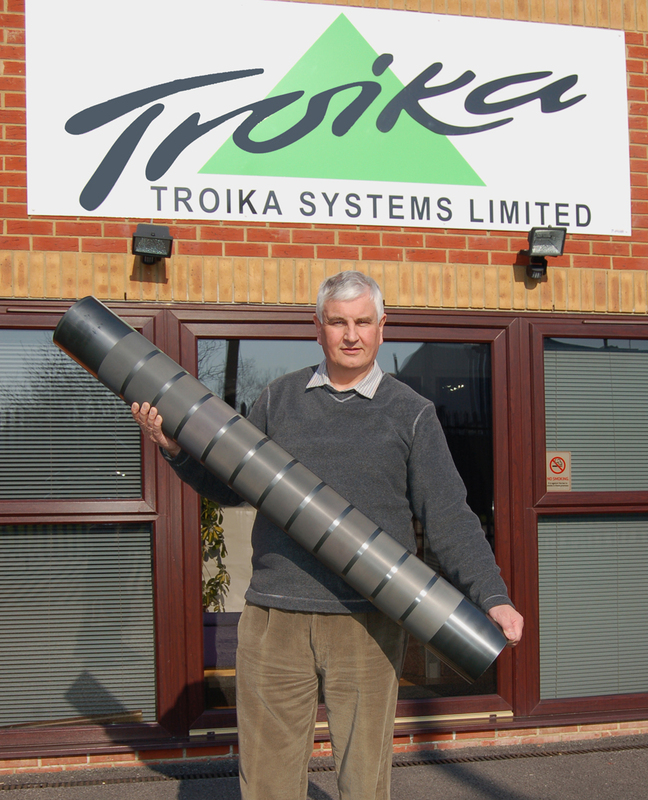 Phil started Troika in 1996, always having an eye for trying to improve production efficiencies, and in the last decade, with environmental considerations, reducing waste, he looked to develop products that could achieve these aims. Working closely with a variety of universities and Troika’s excellent development team Phil has led the company to being the leader in measurement instruments, for anilox and gravure engravings, globally. His proudest achievement was, through collaborative work with Swansea University, working out a proven accurate standard of measurement for aniloxes, this has proven to be very significant for many hundreds of individual flexo printers and major print groups who seek improved standardisation. This is the standard of measurement Phil ensured Troika adopted for its anilox and gravure QC tools. Troika products are important for checking the integrity of anilox rolls, gravure cylinders and flexo plates before the print run to ensure good quality print output, efficiency and accuracy capturing the data and automatically collating it into easy-to- read reports with graphics for analysis. The Plate-II- Print HD units, recently modified and improved, offer customers even more accuracy and quality control over their printing flexo plates and print. The whole Troika team support our customers with technical, training and sales advice with regards to our whole product range. With over 900 AniCAM’s and 1000 Plate-II- Print units sold to date to the label, wide web, corrugated and security print markets globally. The AniCAM and its applications are the leading quality control management solutions on the market. The conference program for the first edition of Gulf Print & Pack Summit has been published. 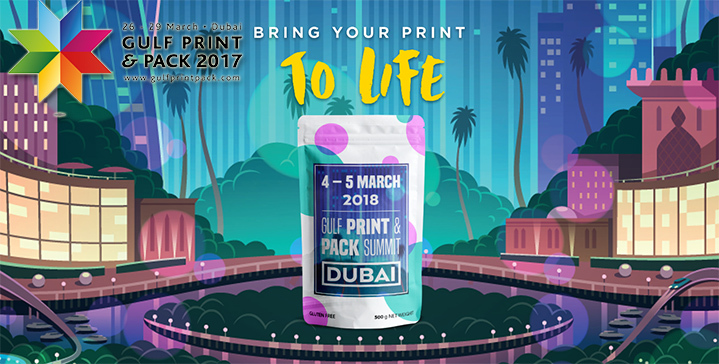 Taking place at Dubai’s Roda Al Bustan Hotel on 4-5 March 2018, the two-day conference and table-top exhibition will address major technology areas and topical business issues for printers, converters, industry suppliers and design professionals based across the Middle East region. Day one will feature presentations on market trends and new technologies. The keynote presentation will be delivered by Chris Lynch of platinum sponsor Xerox Middle East and Africa alongside Atlas Printing Press’ Amit Radia. Highlighting how digital print technology can transform the business of printing, they will examine investing and installing digital equipment, how to reduce production costs whilst improving print quality and how to serve the growing market demand for personalized, seasonal and customized products. The opening day also features a high-level CEO printer panel discussion with confirmed participants including Vinesh Bhimani of Kimoha Entrepreneurs, Leo Pack’s Chandrasain Negandhi and Sebastian Lonth from Reprotronics. Other presentations include Stewart Johnston from the Smithers Group who will be exploring marcoeconomic trends facing the wider printing industry and discussing projected growth forecasts for the region’s market and FINAT’s president and managing director of OPM Group, Chris Ellison, who will be sharing his expertise in using MIS and workflow automation. The second day focuses on the key challenges facing the industry and will also consider the future of print. Sessions will take in the latest developments in logistics labeling and tracking technologies, wide format printing and diversifying from commercial printing into the high growth segment of flexible packaging. Leonhard Kurz’s Ayhan Usulu is to speak about innovating for the future through anti-counterfeiting solutions, while Enayet Kabir from Landmark will give his insight into the strategic sourcing and procurement of offset and digital printing. The conference will close with a retailer and brand panel discussion where contributors including Sukhdev Singh Saini of General Mills and Unilever’s Perwaze Qaiser, will share their experiences and best practice tips touching upon a range of subjects such as private label versus premium brands and how to maximize brand enhancement by creating a premium look for products. Supporting the conference program, the summit will also host some of the print industry’s leading manufacturers as part of its table-top exhibition. Appearing alongside headline sponsor Xerox, fellow exhibitors include AFRA International, Anoop Plastic Products, Bobst, Durst, Heidelberg, Heliozid, Konica Minolta, Nilpeter and Vinsak. 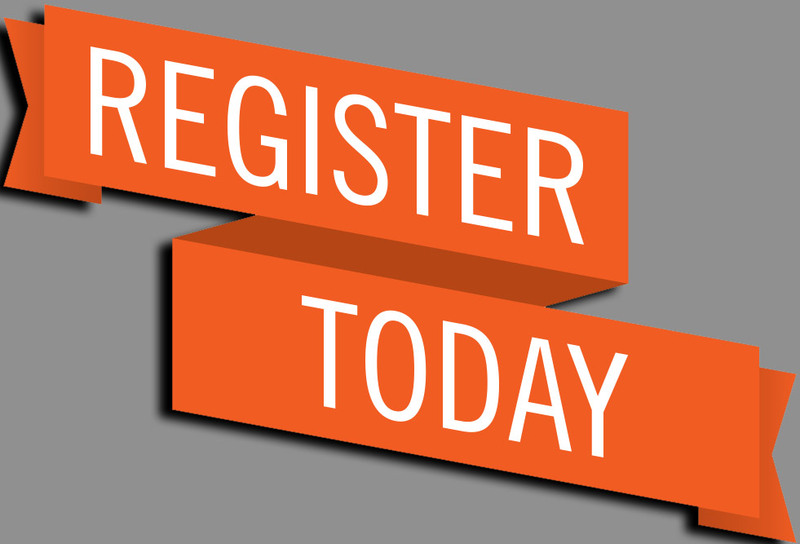 Two-day delegates passes costing USD $280 are available with an early bird registration discount until 15 February. Tickets include admission, lunch and refreshments. Two-day supplier tickets cost USD $800. 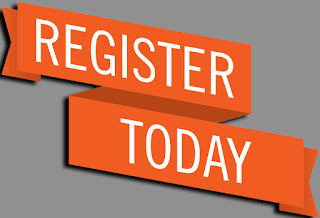 Registration can be made by visiting http://www.gulfprintpack.com/summit/ or visitors can register on site. FLEXcon Company, Inc., an innovator in adhesive coating and laminating, announced the introduction of FLEXcon DPM UVIJ white polyester, white polypropylene (non-vinyl alternative), and white vinyl products for narrow-format UV inkjet printing of durable goods labels. The new product line features FLEXcon’s UV inkjet gloss topcoat designed to meet the fastest growing digital print technology, narrow-format UV inkjet. FLEXcon’s UV inkjet gloss topcoat sets a new standard in narrow-format UV inkjet printing by providing excellent ink receptivity for sharp, vibrant graphics while providing excellent ink adhesion. By leveraging FLEXcon’s industry leading UV inkjet gloss topcoat, products are printable across various digital UV inkjet platforms, as well as UV flexo. The DPM UVIJ product line features UV inkjet topcoated 2.0 mil white polyester and 4.0 mil white polypropylene, as well as non-topcoated 4.0 mil white vinyl - all yield consistent surface smoothness and excellent dimensional stability. The polyester can endure varying temperatures. The products are coated with FLEXcon’s industry leading V/L-344 permanent acrylic adhesive and are backed with either a roll-form liner, or a first-in-the-industry layflat liner specifically designed for narrow format UVIJ printable roll-to-roll or roll-to-sheet converting. 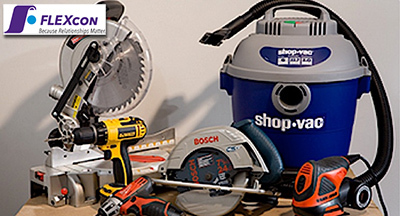 The product line is designed for durable goods and industrial labeling applications including power tools, appliances, electronics, compliance labels, and warning and instructional labels. DPM UVIJ polyester and polypropylene products are UL/cUL pending with specific OEM printers. “In the digital sector, the fastest growing technology is narrow-format UV inkjet. FLEXcon recognized this trend and worked directly with OEM printer manufacturers to develop and qualify a UV inkjet topcoat that will work consistently across multiple platforms including narrow-format UV inkjet printers with UV flexo capabilities. In addition, by this collaborative effort, we developed the only roll-to-sheet products in the marketplace,” said Ron Ducharme, Market Development Specialist, Product Identification Business Team for FLEXcon. Products (DPM UVIJ 1PW, 1PWS, 1PPW, 1PPWS, 1FW, and 1FWS) are available through FLEXcon’s FLEXchoice for Durables program. With the FLEXchoice for Durables program, converters can order custom widths without purchasing a whole master, with no upcharge. Headquartered in Spencer, Mass., FLEXcon Company, Inc. is a global leader in coated and laminated films and adhesives used in graphics applications, manufactured goods and new products. A family owned company for over 60 years, FLEXcon has provided a collaborative, consultative approach to deliver unique solutions that help customers achieve better business results. FLEXcon is a trusted partner to a wide range of companies from printers and fabricators to engineers and designers developing products for existing and emerging markets with operations throughout North America and Europe and with worldwide distribution. The Indian printing and packaging industry has gained momentum and the entire industry seems to be in acceleration mode. The industry has a huge potential to grow, as there is a big gap in export and import figures. The Print Pack team for its next edition of PrintPack India to be held at India Expo Centre, Greater Noida, from 1 to 6 February 2019 is all set to tap into the same. To add to this focus, the 14th edition of Print Pack India series has joined hands with the Association of Label Printers & Suppliers (ALPS) to organize a first-ever grand Label Zone within PrintPack India exhibition. The Label Zone will focus on exhibiting printers, converters and suppliers from the Label Industry. An MOU has been signed with IPAMA on this accord and for the first time, visitors at Print Pack India will be able to witness the entire label stakeholders at one place. This will espsecially help the existing offset, commercial and packaging printers who wish to diversify into label production to understand and compare between their existing process and label production. The biggest printing, packaging and allied industries related event in India, PrintPack India is a big event and often compared to the world-class printing expo Drupa. The main theme of this exhibition is aligning the entire printing & packaging industry in one place. Throughout the Print Pack India journey, IPAMA has focussed on promoting In-Press, Post press, finishing, converting, and digital, signage and packaging machines etc. Diet Coke is undergoing its biggest changes in decades. But as veteran branding experts at CBX see it, the refreshed look and new flavors are unlikely to trigger a backlash along the lines of Tropicana's quickly scrapped packaging fail of 2009 or the "New Coke" launch of 1985. Even when it comes to an iconic brand like Diet Coke, today's consumers are more receptive to change, in part because they so value variety, adventurism and the perception of healthier ingredients and lifestyles, write CBX's Dustin Longstreth, Chief Marketing & Chief Strategy Officer, and Satoru Wakeshima, Chief Engagement Officer, in a new post at CBX.com. 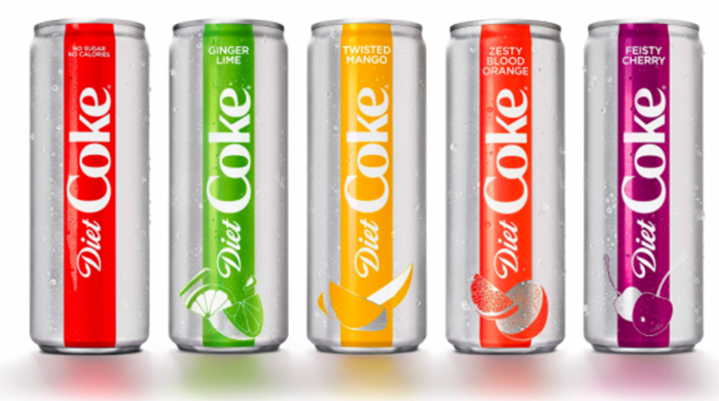 The changes to the family of America's largest low-calorie soft drink include the introduction of four new flavors - Ginger Lime, Feisty Cherry, Zesty Blood Orange and Twisted Mango - as well as a slimmer can with more refined fonts and an emphasis on Diet Coke's iconic silver color. Diet Coke Classic will remain unchanged. As Longstreth and Wakeshima note in the post, today's younger consumers yearn for variety, which the Coca-Cola Co. has clearly recognized in its new approach to Diet Coke. "Their strategy is flavor-driven, and their goal is to get people to see variety," Wakeshima writes in the Q&A-style post, noting that the new look is "smart, easy to shop and clearly communicates something new from Diet Coke." The Coca-Cola Co., he adds, aims to give consumers as many ways to enter its Coke franchise as possible, via different sizes as well as products like Diet, Cane Sugar, Classic and Zero. "And now they're doing it again through flavor," Wakeshima writes. Longstreth, meanwhile, writes that younger consumers often are suspicious of soft drinks and tend to see diet soda as both "old" and processed. These consumers are already able to find more interesting and adventurous flavors in categories ranging from carbonated water, to chewing gum, potato chips and hamburgers. "People are looking for more bold and unique flavor experiences," Longstreth notes. As a result, the company's changes to Diet Coke may not amount to as large a risk as some might suspect. Indeed, write the branding veterans, the carbonated soft drink category has been troubled for quite some time and could benefit from bold moves. "I wouldn't be surprised if we saw more new flavors in the next year," Wakeshima writes. Many of today's leadership brands have an opportunity to "flex their equities and be less precious with them," Longstreth notes. However, he cautions, those changes should pay respect to what people love about these brands. In making the new Diet Coke available in multiple flavors and colors as well as both slim and standard 12-ounce cans, the Coca-Cola Co. clearly has made a sincere investment in the brand, Wakeshima writes. In today's era of online grocery shopping via mobile device, these efforts could yield other dividends as well. "The fact that they chose a simple, color-banded package design signals that the Coca-Cola Co. is also considering how Diet Coke could appear in small-format, digital presentations like on a mobile device," he concludes. "This is something they didn't even think about when the brand was first launched in 1982." In response to an increase in demand for digital technology, leading OEM for the label and packaging market, Mark Andy, has expanded its’ sales leadership channel in North America. Industry veteran, Chris Yanko, will serve as Digital Sales Director. Focusing on Mark Andy’s digital hybrid portfolio, Yanko will support sales development and market education to further the company’s mission as a Total Solutions Partner to the print market. Yanko comes to Mark Andy with over 30 years of industry experience and expertise in prepress production and management. These skills come in the in the form of several leadership roles, at the director and VP level, focusing his efforts in marketing and sales management roles. 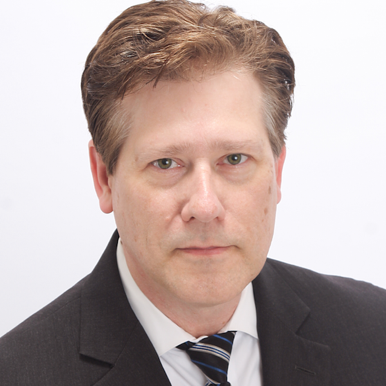 His knowledge has been instrumental in identifying complex digital production outcomes for customers across the United States and Canada and is often called on to speak at industry events across the country. 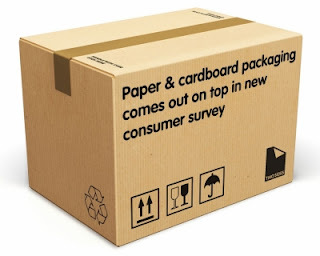 In the midst of heated discussions about packaging, avoidable plastic waste and a move towards a circular economy, a snap poll, conducted by Two Sides and international research agency Toluna, has revealed a strong preference for paper & cardboard packaging amongst UK consumers. A nationally-representative survey of 500 UK adults found paper & cardboard to be the most preferred packaging material for environmental-friendliness, recyclability and practicality. Respondents were asked which packaging material (glass, metal, paper & cardboard, or plastic) they prefer based on a number of different reasons. Paper & cardboard received the highest score for being; better for the environment and easier to recycle and, in terms of practicality, easier to open and close, easier to store, lighter weight, more practical, and safer to use. The survey also revealed significant consumer concerns about packaging in general. 85% believe packaging is a significant source of litter, 84% believe over-packaging is a problem, and 71% believe packaging is bad for the environment. Coffee cups, plastic bottles, chocolate bar wrappers, crisp packets and take-away packaging were all perceived to be the most significant causes litter. Paper & cardboard packaging is durable, renewable and recyclable and will be an essential material as we move towards a regenerative, circular economy, as outlined in the UK Government’s 25 Year Environment Plan. 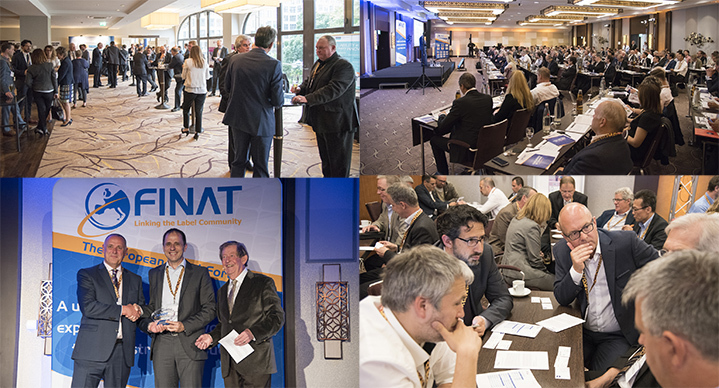 This year’s calendar of events and supporting activities offered by the international association for the label and sleeve markets, Finat, is a full one. It reflects, and addresses, the complex and ever-changing opportunities and challenges in the overall world of packaging today for the benefit of the Finat membership which, in itself, is a diverse web of companies, from raw material suppliers through inks, printing and application machinery, to converters and contract packers. First on this year’s agenda of international events is the Finat Technical Seminar – a two-yearly event which attracts high attendances for its astute combination of all the key elements of commercial label production today. Taking place in Barcelona on 7-9 March, this year’s seminar addresses a broad range of topics for printers and converters. Setting the context, keynote speaker Andy Hobsbawm, founder of smart products platform Evrythng, will provide a leading-edge insight into the IoT, and how ‘smart’ products transform brand relationships, business operations, and service experiences. The programme will go on to address choosing an MIS supplier; the digital print technologies – both stand-alone and in combination with flexo; workflow automation; inks and decoration techniques; and facestocks and finishing. As well as the formal presentations, the seminar will feature parallel troubleshooting workshops where participants can address two arenas of current technical focus and relevance: the flexible packaging and sleeving technologies, and multi-layer, peel-and-reveal label constructions. The event’s accompanying tabletop exhibition and social programme also, of course, offer exceptional opportunities for networking across the extended label industry value chain. Finat’s annual industry event, the European Label Forum, travels this year to Dublin, Ireland, 6-8 June. As in previous years, the program covers a range of issues relevant to the European labels and narrow web packaging industry. Topics on this year’s agenda include the European label industry after Brexit, diversification of the labels and narrow web industry, intelligent packaging, talent development, total cost of ownership of the different printing technologies, the state of affairs in digital label printing, the latest innovations in brand protection, online marketing of your company, as well as the impact of upcoming legislation in food compliant packaging as well as serialization and tamper evidence. Keynote speakers confirmed include TV commentator and spokesman of former British PM Tony Blair, Alastair Campbell, founder of XYZ University, author and expert on inter-generational issues in companies Sarah Sladek, and Professor Noreena Hertz, author, visionary economist, decision-making guru and author with an impressive track record in predicting global trends. The ELF also provides the platform for the prize presentations in the 2018 Finat International Label Competition. This long-established and prestigious competition – now accepting entries, but closing 23 March features a number of technical and marketing/end use categories. For the first time this year, it includes flexible packaging – since it is now an additional option offered by many label converters. The competition creates a ‘shop window’ of the label industry, and brings recognition and international press coverage for winning companies. A third live event on the Finat calendar takes place on 5-7 September in Bucharest, Romania: the Finat Global Young Managers’ Congress 2018. This creative Finat initiative represents an opportunity for younger-generation print managers across the globe – whether Finat members or not – to come together to focus on management skills development in the fast-moving packaging print arena, where a continuing flow of new-generation expertise is essential for the industry’s future. Throughout the year, Finat will host a programme of free-to-attend webinars for members, focussed on technical and recycling matters. Scheduled subjects include intelligent packaging, self-adhesive label dispensing, and RecyClass – the recyclability tool for plastic packaging offered by Plastic Recyclers Europe. One of the subjects covered is the circular economy strategy for plastics, being one of the major substrates for labels, with a webinar dedicated to the general recycling strategy, followed by more detailed webinars on best practices for packaging and label design, and new label marker technologies for better polymer sorint at the recyclers. The association’s website is also home to in-depth market research, published twice a year for the benefit of members in the Finat Radar. The summer 2018 edition will feature detailed statistics on the European labelling industry, and the year-end edition will focus on brand owners. Confirmation of the high levels of service Finat has provided to its members is the fact that the association will be celebrating its 60th anniversary in November 2018. Officially established in 1958, Finat represents unique historical documentation of the self-adhesive label industry from its inception, and is now supporting, and promoting that industry’s ever-widening profile in the world of packaging. Logopak labels are used in a wide range of industrial applications. At this year’s LogiMAT (Stuttgart, Germany, 13-15 March, Hall 6, F21), the manufacturer will display its extensive portfolio in an on-site production of consumables. In addition, Logopak is going to be an official partner of AIM at the “Tracking & Tracing Theatre”. Logopak manufactures all common types of paper labels (thermal transfer, direct thermal) and plastic labels. In addition, the manufacturer has recently invested in production facilities for decorative labels. 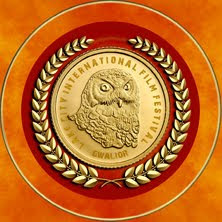 Besides standard formats custom sizes as well as large formats up to A3 are available. The consumables are used for labelling product packaging for the point of sale (primary labelling), group packaging or containers (secondary labelling) as well as carriers, such as pallets (tertiary labelling). Logopak’s vast product range also includes smart labels and tags for RFID (Radio-Frequency Identification). At LogiMAT, Logopak will be an official partner of the “Tracking & Tracing Theatre” hosted by the industrial association AIM (Hall 4, F05). The Auto-ID-Live-Scenario for simulating process flows will display the entire logistics value chain from procurement logistics and intralogistics to production and outbound logistics. In consecutive steps it will show how moving objects can be tracked and traced via Auto-ID technologies, such as RFID, barcode, 2D code, RTLS (Real-Time Locating Systems) as well as sensors. Logopak will participate in the “Tracking & Tracing Theatre” with a labeller for barcodes and RFID via smart labels. Headquartered in Hartenholm near Hamburg, Germany, Logopak Systeme GmbH & Co. KG is a leading manufacturer of logistically integrated labelling systems, labelling software as well as barcode and industrial printers. In addition, Logopak offers the ideal consumables for direct and indirect labelling of a large variety of product and packaging types. The portfolio ranges from blank labels to decorative labels for customised solutions as well as the corresponding transfer ribbons. Represented worldwide through nine corporate locations as well as sales and service branches, Logopak provides extensive experience for a wide range of applications. Both standard machines and custom solutions are developed in-house and manufactured in Germany. The operator-friendly systems are easily installed and simple to maintain. Jörg Pieper has just been appointed new CEO of Romaco with immediate effect by the Advisory Board of Romaco Holding GmbH. Truking Investment Co., Ltd, based in Changsha (China), acquired a majority interest in Romaco at the beginning of July 2017. Jörg Pieper (55) has just been appointed new CEO of Romaco Holding GmbH, which has its headquarters in Karlsruhe (Germany), with immediate effect. He directly succeeds Paulo Alexandre, who has left the company. The Advisory Board would like to thank Mr. Alexandre for his contribution to the firm’s expansion during the last six years. 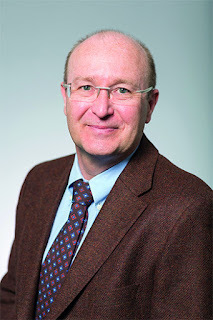 Jörg Pieper joined Romaco Holding GmbH in 2011. As Vice President Customer Service, he was initially responsible for establishing customer service throughout the Group. In 2013, he transferred to Romaco Kilian GmbH as Managing Director, playing a major part in the tablet press manufacturer’s success story. Prior to his arrival at Romaco, Mr. Pieper held various top-level management positions at European and American corporations in the component industry and the machine building sector. In his role as CEO of the Romaco Group, Mr. Pieper will be in overall charge of Sales & Customer Service, Product Management, Marketing and International Strategy Development. “We are aiming to give an entirely new meaning to the term ‘close to the customer’ and to simultaneously strengthen our service mentality”, said Mr. Pieper, CEO Romaco Group. “In the future, it will be particularly important to anticipate the needs of our customers worldwide, to enable us to respond promptly and flexibly to changing market requirements.” Carsten Strenger will remain CFO/COO of Romaco Holding GmbH with responsibility for Finance and Operations. Romaco is a leading global supplier of Processing and Packaging equipment, predominantly for the pharmaceutical industry. Divided into three business areas, Processing, Tableting and Packaging, the company develops engineered system solutions for the pharmaceutical market, but also supplies the cosmetics, food and chemical markets. The Association for Print Technologies (formerly NPES)—exclusive producer of the annual event for the graphic communications industry - has designated its Print brand as the name for its annual event moving forward. 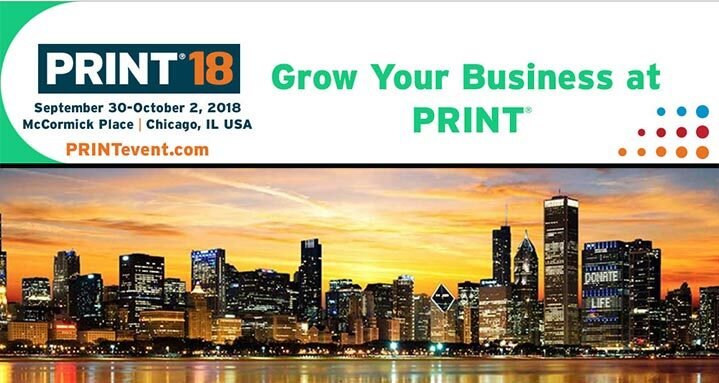 Print 18 will be held in Chicago, September 30 – October 2, 2018, at McCormick Place South. The change is part of the larger strategic plan and repositioning that NPES began in 2016 and resulted in the Association’s new name, Association for Print Technologies. This new branding initiative reinforces the value that empowers and advances members of the association, and the learning and networking that takes place at Print are a vital part of that. Its position as the best-attended U.S. show in 2017 demonstrates that Print is the strongest event to provide education, technology and value to the global printing industry. Print delivers leading education by bringing together the most sought-after experts and business development authorities from both within and outside the industry. This year’s event will be three action-packed days to ensure a productive, focused experience on the exhibit floor. 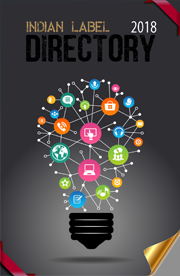 Additional innovative networking events, receptions and meet-ups. Since the debut of Print 68 in Chicago—the first truly global equipment trade show ever held in the United States—the event has offered an unparalleled showcase for purchasers of commercial printing equipment and supplies. Following the growth of that success, three organizations—NPES, NAPL, and PIA—formed a joint show management company (the Graphic Arts Show Company or GASC) to organize the annual event in 1982. In 2017 NPES became the sole owner of the event and, as a not-for-profit organization, will reinvest in the show and the growth of the industry as a whole. These bold investments and new vision to advance graphic communications as the Association for Print Technologies and Print 18 will empower business success through global industry collaboration.